I have been an uptight parent for the vast majority of Blake’s life so far. I see that now. It has taken a good two and a half years of making things harder for myself and my family than they needed to be, putting extra pressure on myself and generally worrying ABOUT EVERYTHING for me to figure out that actually, I can just chill the funk out. I spent a lot of my pregnancy, when not being sick, deluding myself about the kind of parent I wanted to be and how I wanted to bring my child up and LIKE AN IDIOT reading bloody Gina Ford (sorry Fordists, I know she works for some people but I honestly think the woman is mental and her bloody book reduced me to a gibbering, clock watching, twitchy mess even more convinced I was totally stuffing it up than all new Mums already are). Yes yes! I thought. I shall feed my baby every three hours through the day and establish a sound routine within 3 days of his birth, and he shall grow up to be a cherub and all shall be wonderful. I often think Blake is nature’s way of knocking me off my high horse and making damn sure I don’t climb onto it again. Blake is wonderful. I cannot express the love I feel for my funny, spirited, beautiful child. But he has done NOTHING by the book. You read a newborn should sleep for 14 hours a day did you Mummy? That a child should not be nursed to sleep? That I should be rolling, walking, talking, potty trained by now? Dream feed anyone? Napping in the day and sleeping several hours at night? Finger foods by 9 months and independent feeding by 12? Putting on my own shoes? Standing on my little step and washing my hands? Well up yours Mummy and all your child rearing manuals! Blake has done and continues to do everything in his own time, to his own agenda. And that is hard when you are new Mum, because everything is measured. Food. Weight. Height. Time. You are constantly competing, even if just against a load of graphs and ultimately only yourself. And I have tied myself up in knots again and again. It has been a long, hard slog for me to stop worrying, back off and just let him be. Recently I read about a new parenting approach – the CTFD approach, and it is THE ONE for me. It is quite simple really. In every situation where you are unsure about what to do with your child, or how to work with the particular phase they are in, or worried, or guilty, or anxious, or BLAH BLAH BLAH you just tell yourself to CTFD (calm the f**k down). And it works!! Blake just rolled in bird poo! CTFD. Blake hasn’t eaten seven portions of fruit and veg today (in fact he has only eaten one)! CTFD. Blake won’t have a nap! CTFD. 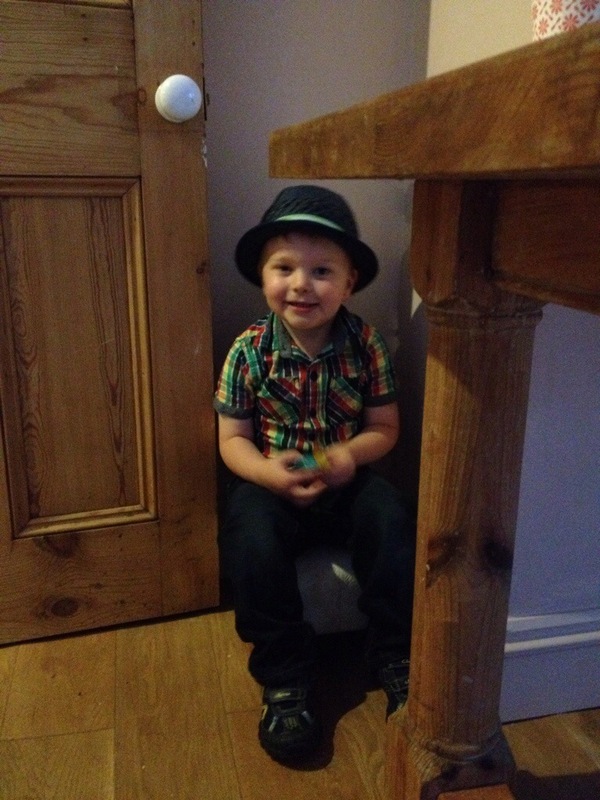 Blake still doesn’t seem to realise when he is having a wee and how shall I ever get him to use the potty?! C.T.F.D. It helps me cut through the stuff I don’t need to worry about, and takes the pressure off. I have finally calmed down, stopped trying to control every last thing, and sat back and watched my child being the unique, wonderful person he is.